When you’re enjoying life at a Maine Camp Experience (MCE) camp, it makes sense that you want to share the experience with your family – and that’s one reason Visiting Day is always a hit! Whether it’s pick-up or drop-off day that family is invited to attend, or a Visiting Day in the middle of a longer summer, the opportunity to welcome family is always special for campers and visitors alike. When I talk to campers about why they love Visiting Day, one highlight stands out across the board – that very first moment when they run up and greet their parents, grandparents, and other siblings. At the MCE camp I work at, the campers line up at the assembly flagpole while the parents wait below. When the assembly ends, the campers run down the hill and greet their visitors, flinging themselves into their family’s arms. Kids love walking around and sharing camp with their family. It’s a great opportunity to share their favorite activities and introduce parents to friends and counselors. But, of course, for campers there’s another perk to having visitors as well. At many MCE camps there is limited access to candy and sweets, but Visiting Day is often and exception. Kids love receiving some of their favorite treats from home and goodies they don’t normally get at camp – I know of a few who even request fresh avocados! 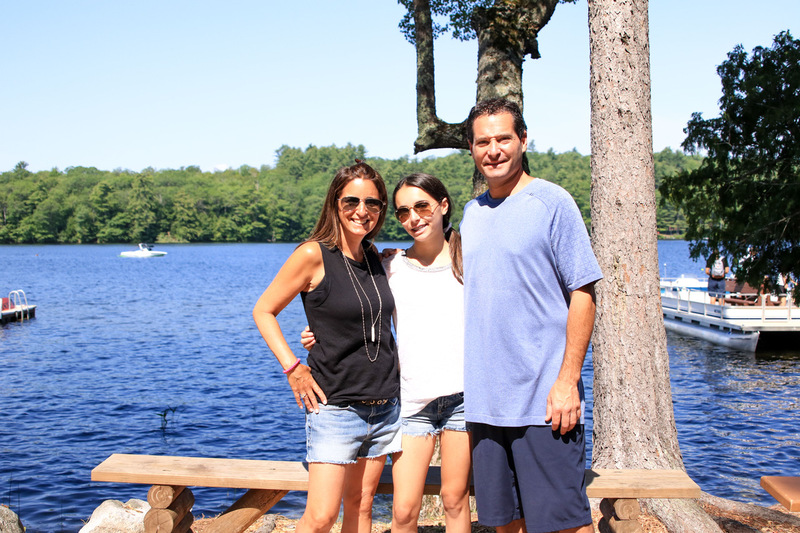 But Visiting Day isn’t just for the campers – it’s an incredible experience for parents as well. Just like their children, almost all parents agree that there’s nothing quite like that first hug. After the initial greeting, it’s time to get ready for a day at camp – and while you’ve missed your child tremendously while they’ve been gone, Visiting Day offers parents the opportunity to see why it’s all worth it. It’s incredible to witness a child confidently leading you from place to place, introducing you to friends and counselors, and thriving in their favorite activities. For parents, it’s a great opportunity to meet the friends and counselors you’ve read so much about in letters home. It’s also really nice to meet the family of your child’s bunkmates and friends, and many MCE camp families become longtime friends with standing Visiting Day dinner plans and other fun activities in “Vacationland”. There’s nothing quite like Visiting Day at an MCE camp. Camps generally pull out all the stops when hosting – from special lunches to unique shows and games – but ultimately the day is about the opportunity for families and their kids to connect. It’s amazing to witness firsthand the growth and confidence your child is displaying, and even more wonderful to see the smile on their faces as they run in for that first hug. It really is no wonder that Visiting Day is always a summer highlight!